“. . .the defendants allegedly stole the identities of doctors and thousands of Medicare beneficiaries and operated at least 118 different phony clinics in 25 states for the purposes of submitting Medicare reimbursements. “Today’s arrests are an example of the FBI’s ability to conduct cross-program, multi-divisional investigations targeting a national level threat. In recent years, the department has undertaken a series of steps to modernize its organized crime program and enable federal law enforcement to take a unified approach to combating international organized crime. The Attorney General’s Organized Crime Council brings together the leadership of the FBI and eight other federal law enforcement agencies or offices with the department’s prosecutors, focusing high-level attention on these issues. The IOC-2 provides support in the form of information and intelligence to the member agencies that enhance efforts to identify, penetrate and dismantle the most dangerous organized crime groups through investigations and prosecutions. The creation of the International Organized Crime Targeting Committee and the Top International Criminal Organizations Target (TICOT) List, directs investigators and prosecutors to concentrate their limited resources on those international organized crime groups that pose the greatest threat to the United States. The department’s Criminal Division, through the Health Care Fraud Unit, Organized Crime and Racketeering Section, and the Asset Forfeiture and Money Laundering Section, has created new training programs to educate investigators and prosecutors on the intricacies of international organized crime and financial investigations.” (emphasis added). Commentary: As this case reflects, the ease and extraordinary profits which can be generated from health care fraud is more than enough incentive for international organized crime syndicates to move into this area. With the uncovering of this scheme, we should fully expect that DOJ, HHS-OIG and the HEAT Strike Force will continue to investigate these relationships. Liles Parker attorneys represent health care providers around the country in administrative, civil and criminal health law related matters and cases. Please call us at 1 (800) 475-1906 for a free consultation. “HEAT’s impact has been recognized by President Obama, whose FY 2011 budget request includes an additional $60 million to expand our network of Strike Forces to additional cities. With these new resources, and our continued commitment to collaboration, I have no doubt we’ll be able to extend HEAT’s record of achievement. And this record is extraordinary. (emphasis added). These funds will be to supplement, not supplant, existing health care fraud enforcement efforts currently underway. While the additional cities slated for HEAT expansion were not announced at this event, all health care providers, regardless of location, should be especially vigilant in their efforts to ensure that Medicare coding and billing practices regulating the items and services they are providing must comply with applicable statutory and agency requirements. Should you have questions regarding a health care fraud issue, you may call Robert W. Liles or another of our attorneys. Call 1 (800) 475-1906 for a free consultation. (July 17, 2010): Yesterday, the Department of Justice (DOJ) announced charges against 94 physicians, medical assistants, and health care company owners and executives in connection with alleged false Medicare claims amounting to more than $251 million. 24 defendants from Miami account for approximately $103 million of that amount. Four defendants were charged in Houston for their alleged roles in a $3 million scheme to submit fraudulent claims for durable medical equipment (DME). Other arrests were made in Baton Rouge, Brooklyn, and Detroit. The offenses charged include conspiracy to defraud the Medicare program, criminal false claims, violations of the anti-kickback statutes, and money laundering. The charges are based on a variety of fraud schemes, including physical therapy and occupational therapy schemes, home health care schemes, HIV infusion fraud schemes and durable medical equipment (DME) schemes. The operation was conducted by the joint DOJ-HHS Medicare Fraud Strike Force, multi-agency teams of federal, state, and local investigators designed to combat Medicare fraud through the use of Medicare data analysis techniques and an increased focus on community policing. Strike Force teams are operating in seven cities in the United States: the five aforementioned cities, Los Angeles, and Tampa. AG Holder noted that the ongoing Strike Force initiative in South Florida has resulted in the indictments of 810 organizations and individuals since March 2007 and uncovered $1.85 billion in improperly billed claims. The Strike Forces are a part of Health Care Fraud Prevention and Enforcement Action Team (HEAT), which is made up of top level law enforcement and professional staff from the DOJ and HHS and their operating divisions. HEAT is dedicated to joint efforts across government to both prevent fraud and enforce current anti-fraud laws around the country. Should you have any questions regarding these issues, don’t hesitate to contact us. For a complementary consultation, you may call Robert W. Liles or one of our other attorneys at: 1 (800) 475-1906. 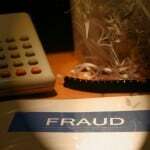 A Psychologist was convicted of health care fraud and money laundering, in connection with various claims fraudulently billed to Medicare. Instances of improper conduct included billing for more than twenty-four hours of services in a single day; billing for services in a single day which amounted to more than double the normal business hours of the Psychologist’s practice; billing for services allegedly rendered during weekends, holidays, and times that the Psychologist was known to be out-of-town and away from the practice; and, submitting claims for services and evaluations not actually performed by the Psychologist, as required by law. An unlicensed Behavioral Health Counselor was charged with Medicaid fraud for allegedly engaging in aggravated identity theft. The defendant allegedly improperly acquired Medicaid beneficiaries’ information, including names, addresses and Medicaid numbers, then used the information to file false claims through a behavioral counseling service the defendant owned. These behavioral counseling services were billed to Medicaid but allegedly not provided to the beneficiaries for which they were billed. Since being established approximately a year ago, Texas’ HEAT Strike Force has significantly increased both investigations and prosecutions throughout the State. Both enforcement efforts and the frequency of Medicare audits are anticipated to increase throughout 2010 and following years. In addition to the increasing number of civil and criminal cases brought by the Texas HEAT Strike Force, the number of administrative overpayment cases is anticipated to grow as well. It is essential that Texas providers continue their efforts to ensure that both business operations and billing practices fully comply with applicable statutory and regulatory requirements. Liles Parker PLLC includes a number of attorneys with extensive former experience as Federal and / or State prosecutors. Should your organization find itself under investigation, call us today for a complimentary consultation at: 1 (800) 475-1906.